VERSAILLES- Charles W. Brown, 79, husband of Judy "JuJu" Brown, passed away Sunday, February 3, 2019 at Hospice Care Center in Lexington. He was born in Anderson County, Kentucky to the late William B. and Valeria Sea Brown on November 9, 1939. Mr. Brown was a machine operator for Rand McNally for 33 and a half years. He was a member of Southside Christian Church, Masonic Lodge #41 F.& A.M and the National Guard. Charlie Brown had the most generous spirit, kind and caring heart. His heart touch everyone far and wide. In the great words of Clark Gesner, "You're a good man, Charlie Brown". 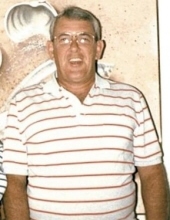 In addition to his wife of 47 years, he is survived by his children, Jerry L. (Kim) Combs, Kenny Combs and Joyce Combs; sister, Marie Hyatt, Lexington, Beulah Baxter, SC, Shelby Leathers, Louisville and Judy (Tommy) Russell, FL; brother, Forrest (Betty Lee) Brown, Lawrenceburg; brother in law, Johnny (Jean) Southern, Lexington; and numerous nieces and nephews that loved him very much. Memorial Service will be 1:00 PM Saturday, February 9, 2019 at Southside Christian Church with Rev. Grant Mathes. Honorary casketbearers will be Arnold Slatten, Johnny Redwine, Dale Varner, Eric Varner, Jerry Lee Combs, William S. Foley, Dr. Rob Hutchinson and John James. Visitation will be 11am until time of service. Please dress casual for the service. In lieu of flowers, memorial contributions may be made to United Bank. Make checks payable to Judy A. Brown for the Charlie Brown memorial fund. To send flowers or a remembrance gift to the family of Charles W. Brown, please visit our Tribute Store. "Email Address" would like to share the life celebration of Charles W. Brown. Click on the "link" to go to share a favorite memory or leave a condolence message for the family.